Vote forEsperance, WATop Regional Destinations Which are Australia's must-visit destinations? You help us decide. Western Australia is home to a number of beautiful little coastal towns each with their own individual character and charm, however in many ways the community of Esperance is a shining gem in the state's crown. Originally discovered by the French ("Esperance" roughly translates to "Hope" in French), this is a coastal spot with vistas that are worthy of postcards that could compete with the offerings of the Whitsundays on the east coast. Why it's special: Beautiful beaches such as Blue Beach and West Beach, or Cape Le Grand National Park's Lucky Bay all contribute to Esperance's relaxing coastal appeal. Fur seals and sea lions sehlter on Recherche Archipelago Islands, with the middle Island being home to Lake Hillier, a strikingly vibrant shade of pink. Wonderfully blue waters populated by an array of islands, and an inland area that is blanketed by glorious national park with its township situated in an idyllic spot between the two are both jaw-dropping examples of the natural delights Esperance has to offer. If you're looking for a getaway from the crowds, the Esperance region truly delivers, boasting one of the lowest population densities of any habitable part of our country and offering the tantalising prospect of over 400 kilometres worth of coastline to explore and get lost in. This vast coast comes replete with dozens of glorious beaches that you can have practically to yourself - simply push on further and you'll come across a pristine stretch of brilliantly-white sand which you can call your own for the day. Head off shore, and you'll come across the reason for the area being nicknamed the "Bay of Isles" with over 100 individual islands and islets that make up the Recherche Archipelago, each of which is a veritable nature sanctuary in its own right. Turn your eyes east, and the natural features continue to do the region justice as the vastness of the National Parks of the region come into focus - there's over 5,900 square kilometres worth of wilderness on display broken up into five individual national parks with the Cape Le Grand being both the most renowned and easiest to access. With a mixture of granite rock formations mixed with white sand beaches and a range of stunning lookout points to view them side by side, it's an ancient and ridiculously scenic landscape offering a series of wonderful panoramas. Throw in the fact that Esperance is a great spot for whale watching during migratory season and the friendly and down to earth attitudes of the locals and you've got an idyllic getaway destination that may not stay secret for long. Oh, and if you needed one last indicator of the region being a stress-free haven: there is not a single set of traffic lights to be found. Looking to pay a visit to Esperance but not sure what to do? Here are a few of its most essential experiences. 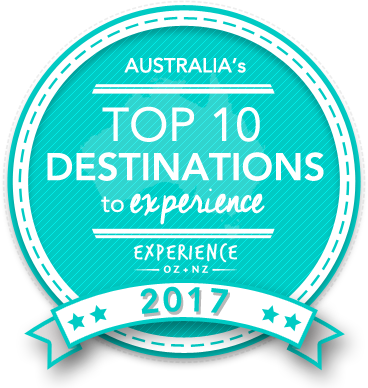 Is Esperance Australia's Top Regional Destination to Experience for 2017? Vote now for the chance to WIN an epic trip to one of Australia's top destinations!